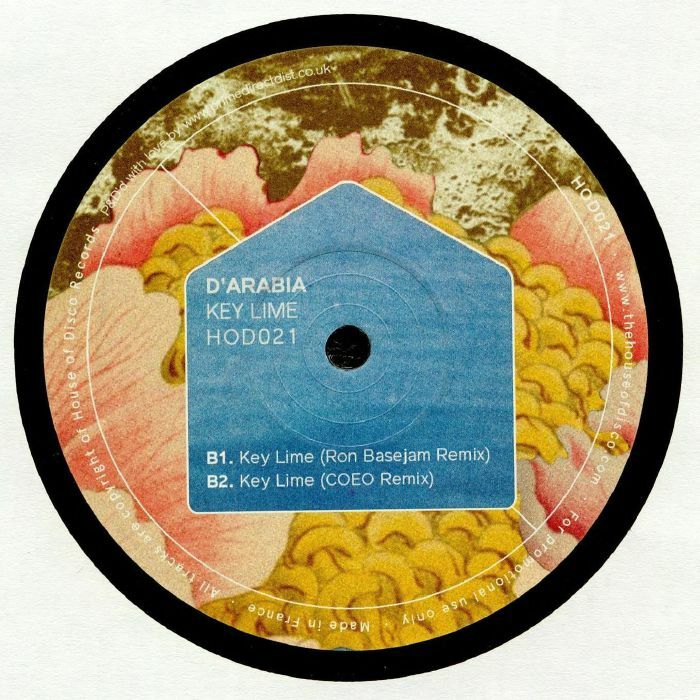 D ARABIA Key Lime EP vinyl at Juno Records. 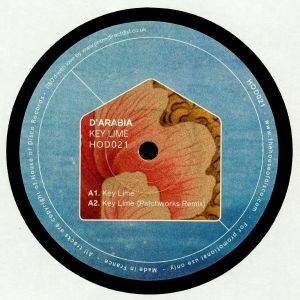 House of Disco's latest essential missive comes from D'Arabia, a Bologna-based producer with one 12" to his name (2016's Red Rooster E.P on the label of the same name). "Key Lime" sounds like a life-affirming peak-time anthem in the making, featuring a snaking saxophone solo floating above "Get A Move On" style drums and a fantastically heavy bass guitar riff. The fine remix package is headed up by organic deep house veteran Patchworks, who gives the track a suitably warm and jazzy fix-up, and Crazy P man Ron Basejam, whose tasty revision predictably moves further towards jazz-funk/deep disco fusion. If you're in the mood for a more musically expansive but bumping interpretation, COEO's take is the one to check.